LAHORE: (Wednesday, August 15, 2018): Punjab University Vice Chancellor Prof Niaz Ahmad has urged the students to equip themselves with skills relevant to their degrees so that they could excel in the professional field. He was addressing merit scholarship award ceremony for students of Institute of Education and Research at Waheed Shaheed Hall here on Wednesday. 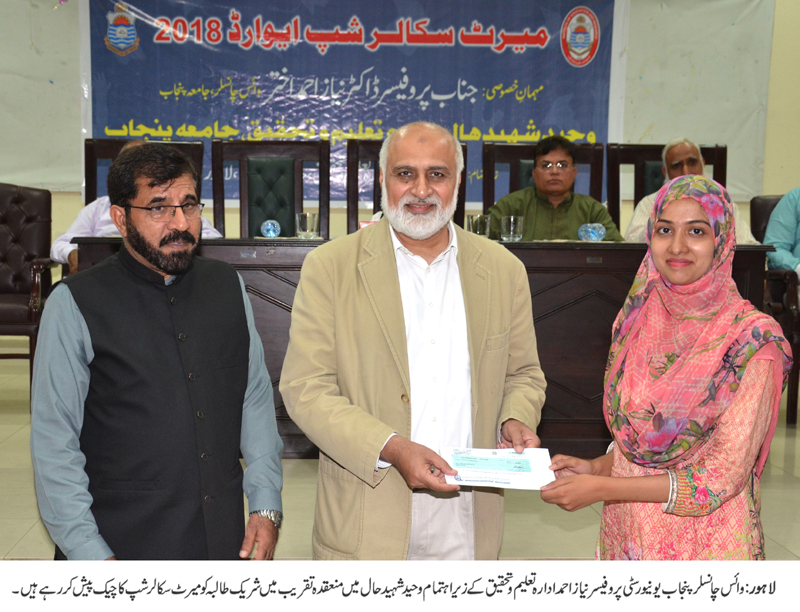 PU IER Director Prof Dr Rifaqat Ali Akbar, Chairman Hall Council Prof Dr Abid Hussain Chaudhry, senior faculty members and a large number of students were present on the occasion. Addressing the ceremony, the PU VC said that the discipline of education was of much importance at national as well as international level. He said that there was need to revamp curriculum as per modern needs of the hour. Prof Niaz Ahmad urged the participants not to give space to others who were not expert in their field for guiding their discipline. He also promised that the amount of merit-based scholarship would be doubled. 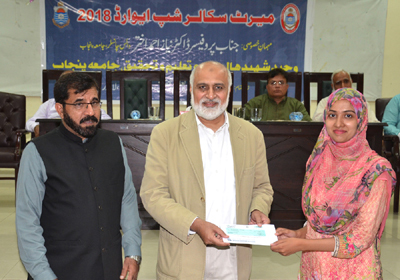 Addressing the ceremony, Dr Rifaqat Ali Akbar said that it was an honor for students to get scholarship purely on merit basis. He said that the institute had revised curriculum and new programs would also be offered. He advised the students to make efforts for the development of country.